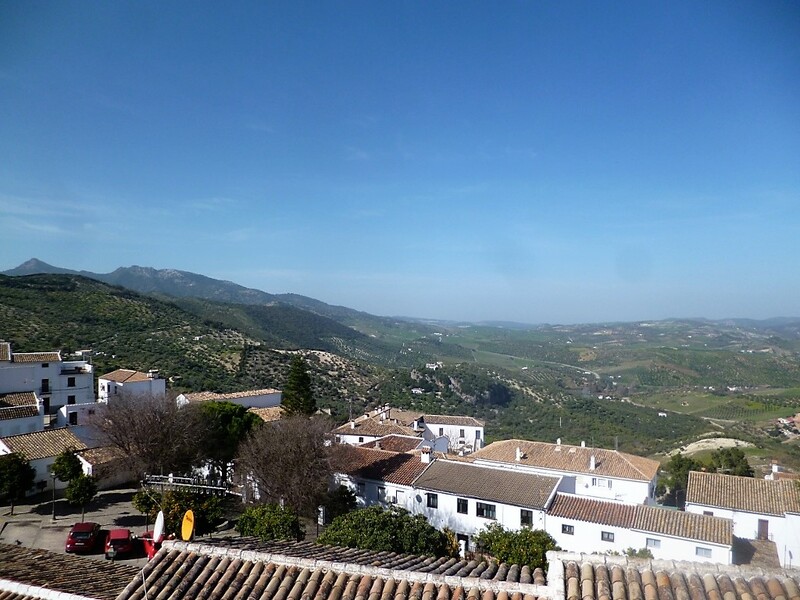 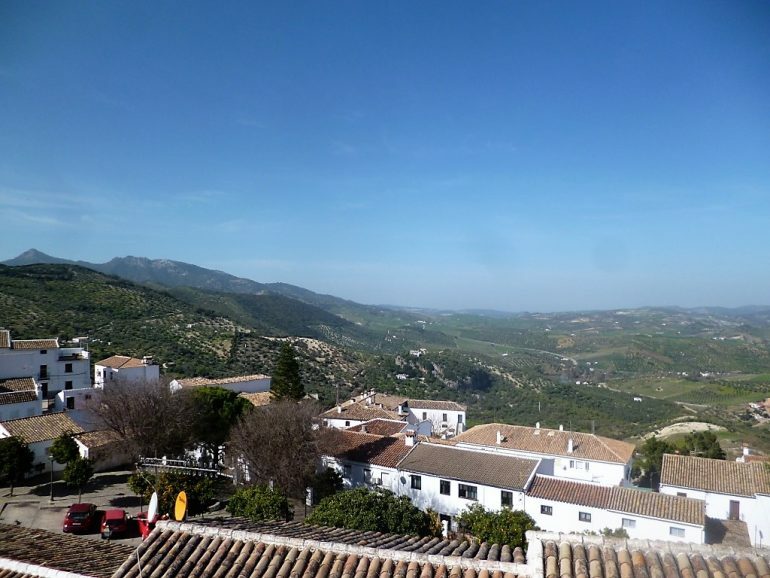 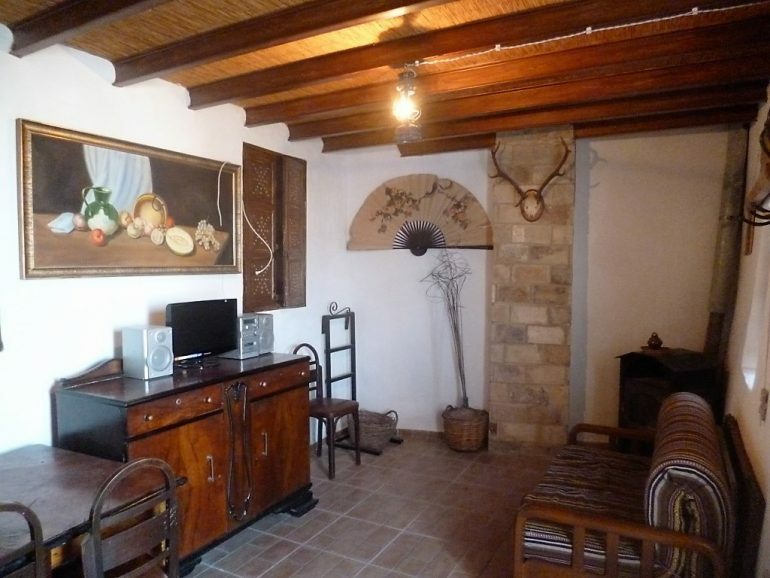 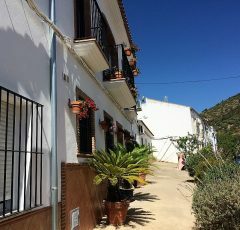 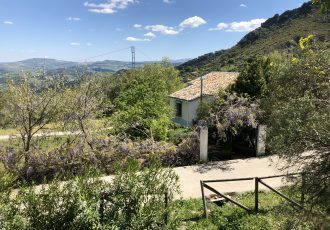 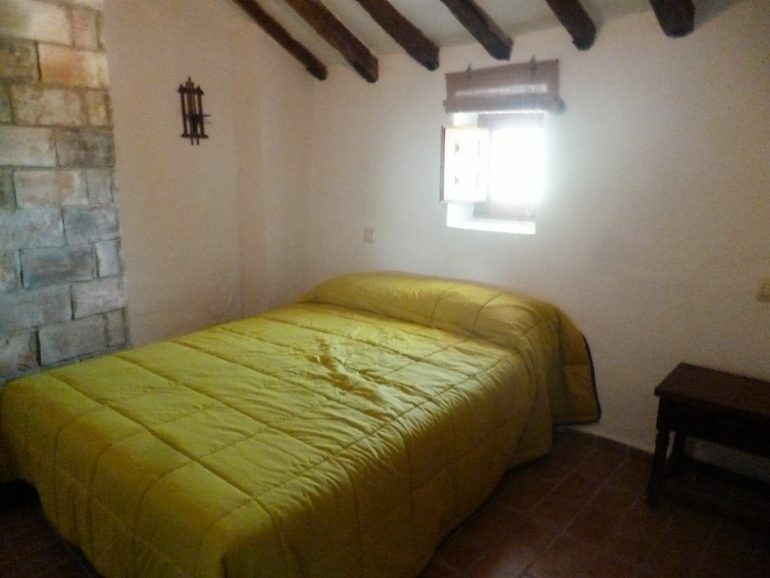 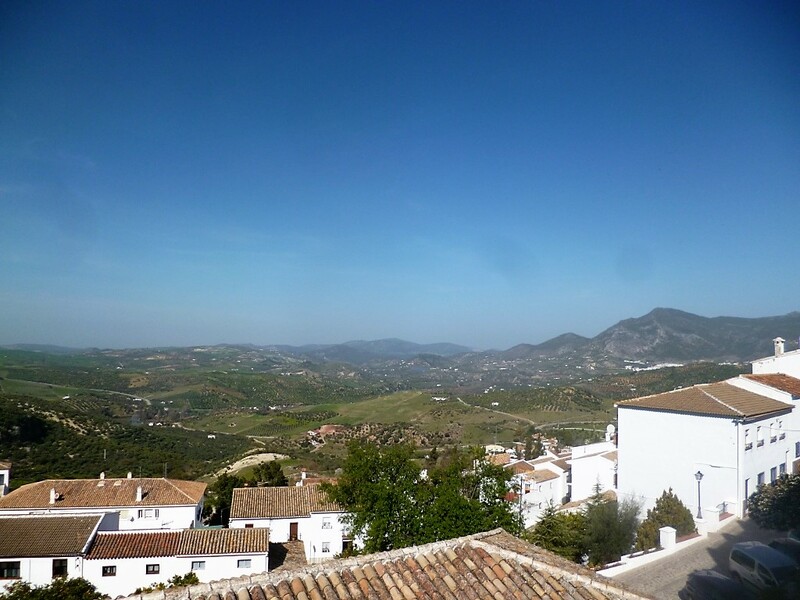 This is a very charming character packed small home in the beautiful village of Zahara de La Sierra ,with ease of access and on street parking possible. 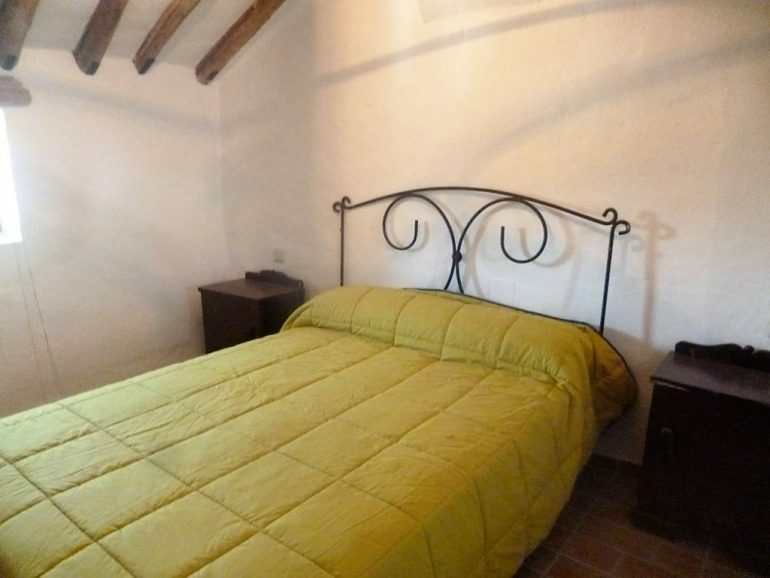 This cottage has been fully renovated maintaining the rustic style of wooden beams and windows and offers a unique feature too. 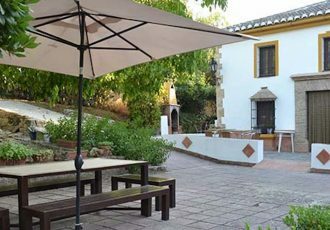 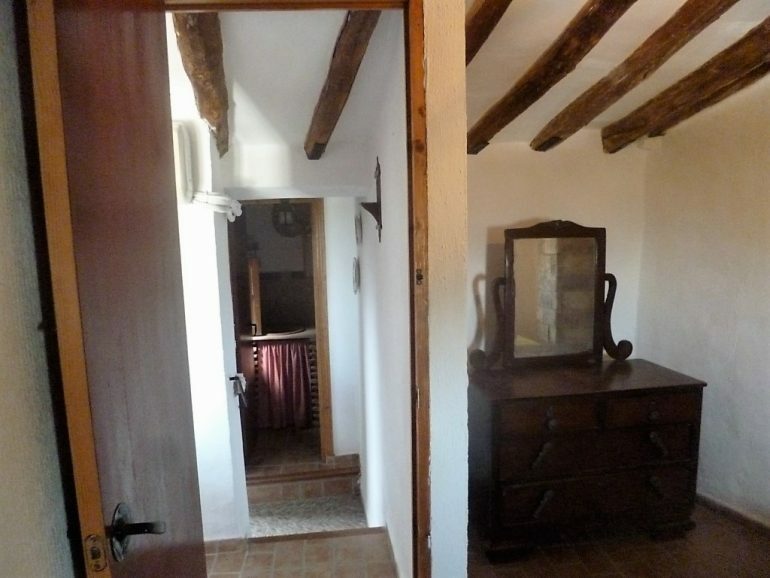 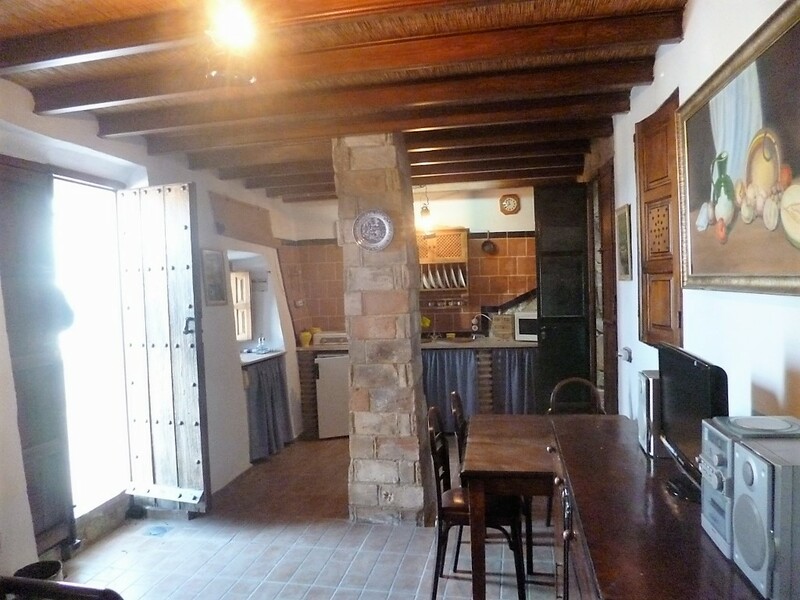 Ground floor is open plan kitchen and living with typical Andalus rustic built kitchen and wooden shuttered windows. 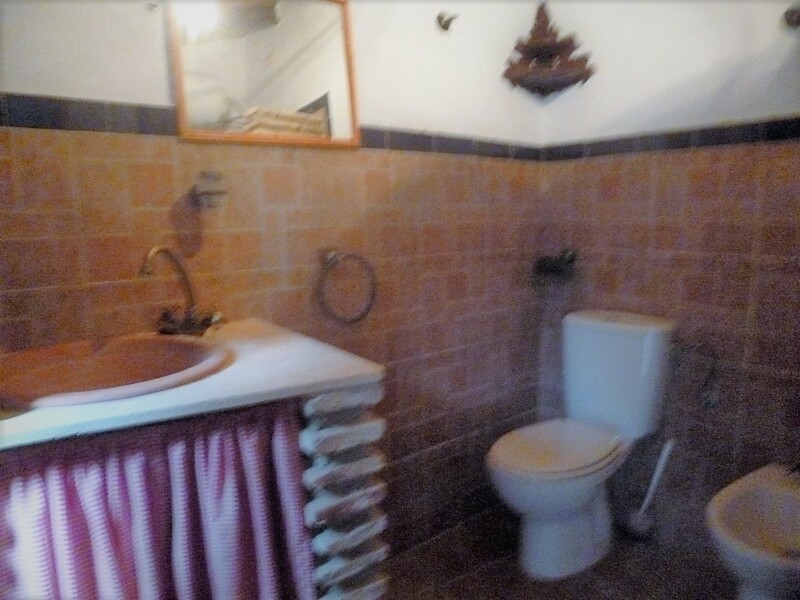 It is cosy and comfortable. 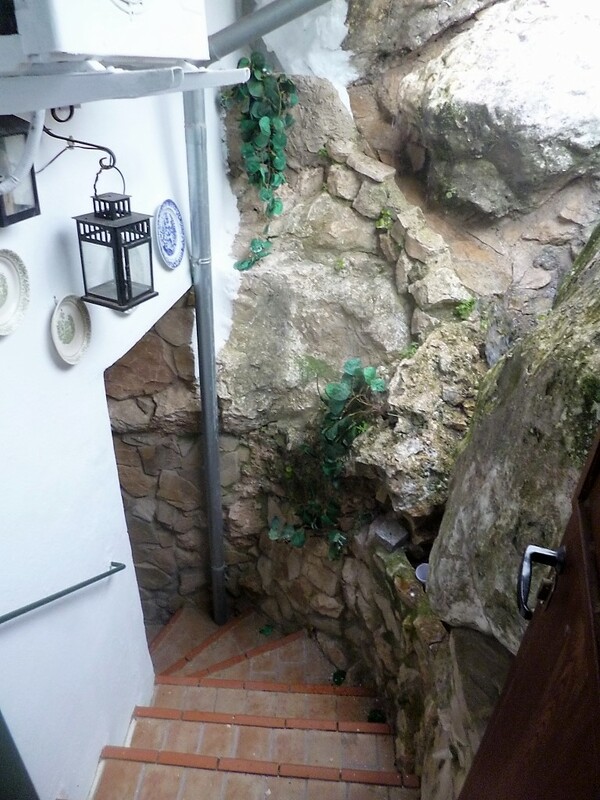 The back door leads to a stepped patio with the impressive natural rock and the addition of a waterfall feature !I imagine on a hot summer’s day the effect and gentle sound of he cascading water is a cooling and calming influence. 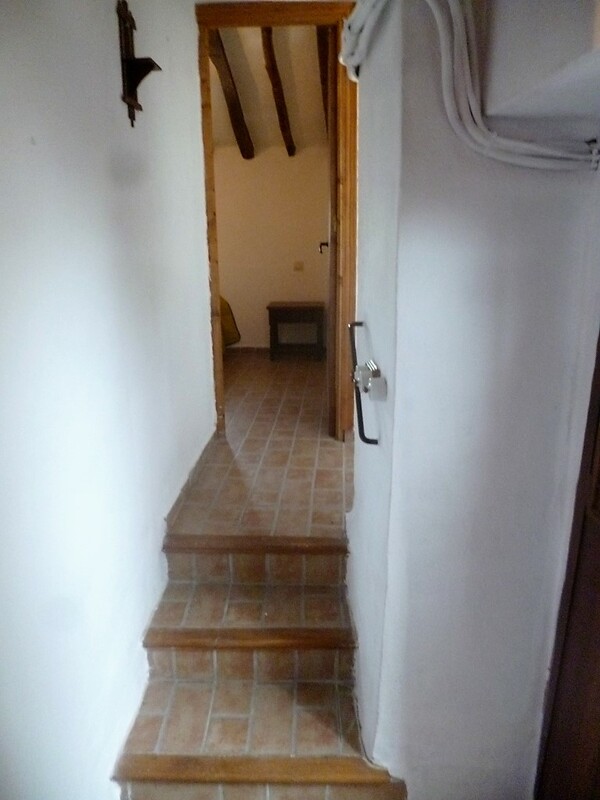 At the top of the steps is the doorway to he upper floor which has two charming double bedrooms both with windows out to the stunning views , a lovely shower room and a hallway with low balcony doors overlooking those all important views , the sloped roof has beams throughout. 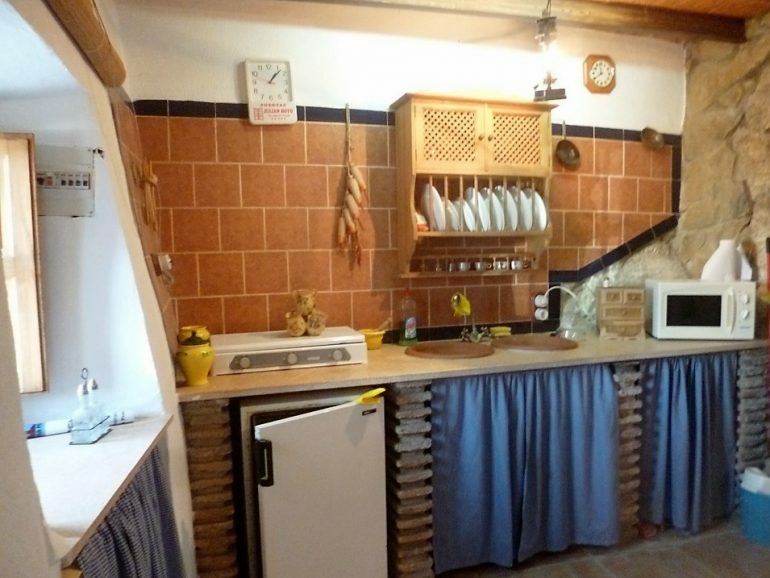 The home is fitted with air conditioning & wood burner. 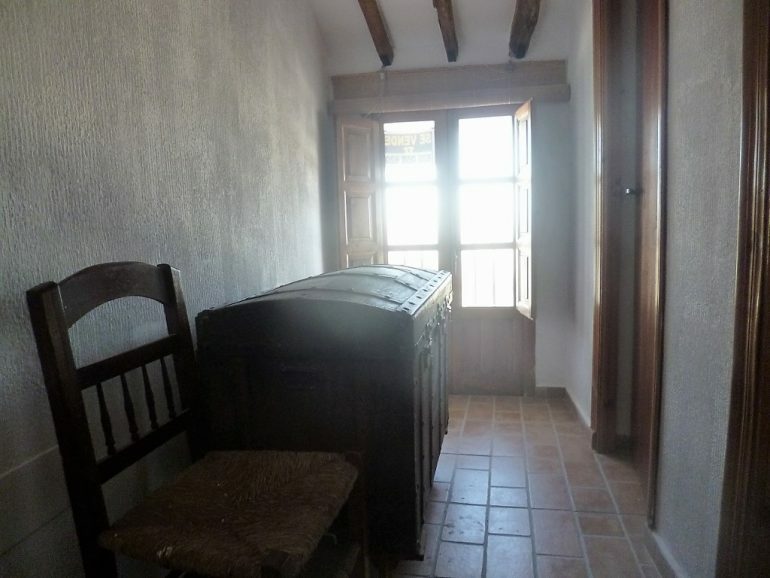 The majority of the contents are included in the sale. 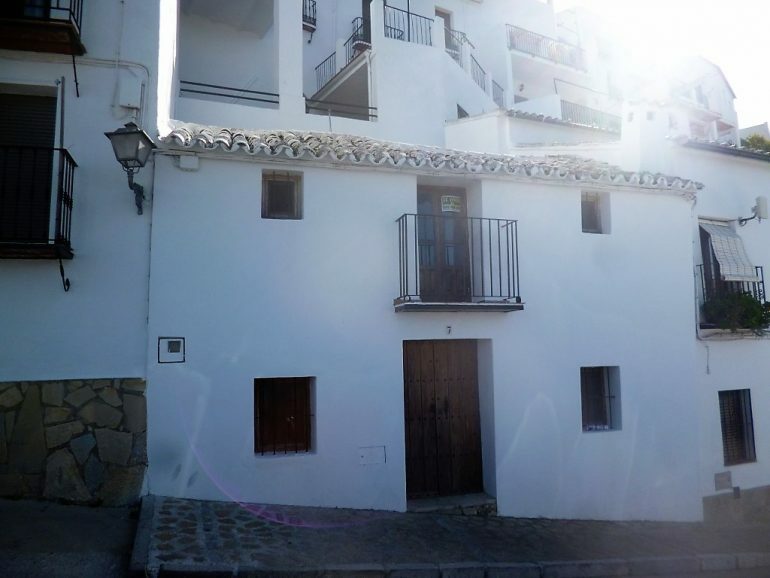 With the wonderful ambience of the center square just 2 minutes from the front door the fact that this house does not have its own outdoor seating area may not be a concern as you can walk around the corner and have wonderful tapas and drinks alfresco in the great atmosphere of this beautiful village. 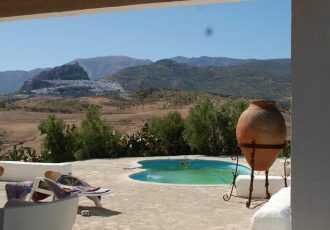 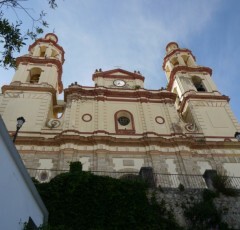 All in all an ideal holiday home or rental.